He swore never to kill again – until his journalist wife is slaughtered by a serial killer known as The Priest. She was three months pregnant. The bizarre and freakish Priest has murdered and defiled a string of young women whose bodies are plundered to provide raw material for a lethal and highly secret society and its super rich clients. Delaney's wife was about to expose The Renaissance Project. She couldn't be allowed to live. When the ex-U.S assassin and former warrior monk finally tracks down The Priest, he puts his life on the line as he infiltrates the labyrinthine organization. Will he survive unscathed? And will he keep his vow? An electrifying rollercoaster of a conspiracy thriller with a spectacular twist. 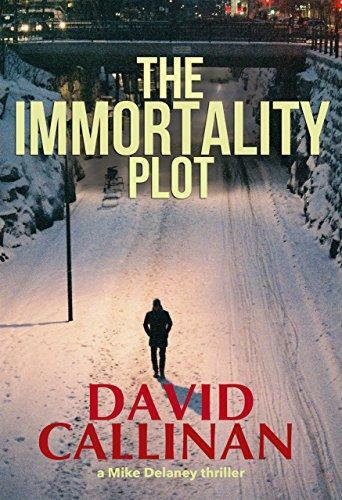 For fans of David Baldacci, Lee Child, Dean Koontz, Lincoln Child. Wait until you meet the killer in this book - like no-one and all of them you have ever read about. Standing ovation and a nomination for best thriller EVER written award (if there is such a award). Masterly. Sheer genius. Wow! What a thrilling book! A thriller with a very clever assassin, but an even cleverer Delaney. I just couldn't put it down. A tense psychological thriller. Ex-special forces guy Mike's wife gets killed brutally, and he goes into a monastery to try and reconcile his life. But real life interferes, and he goes on the track of his wife's killer. David Callinan absolutely ROCKED THIS. Mike Delaney is my new favorite hero. 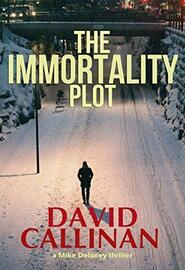 David Callinan has written a taut, fast paced, page turner of a novel. It’s a non-stop thriller that features a villain on par with Dr. Lecter. In the vein of a Preston & Child 'Gideon Crew' novel. Callinan weaves a very intricate and addictive web of suspense that I found unable to resist or put down until the end. I can't wait to read what is in store for Delaney next.